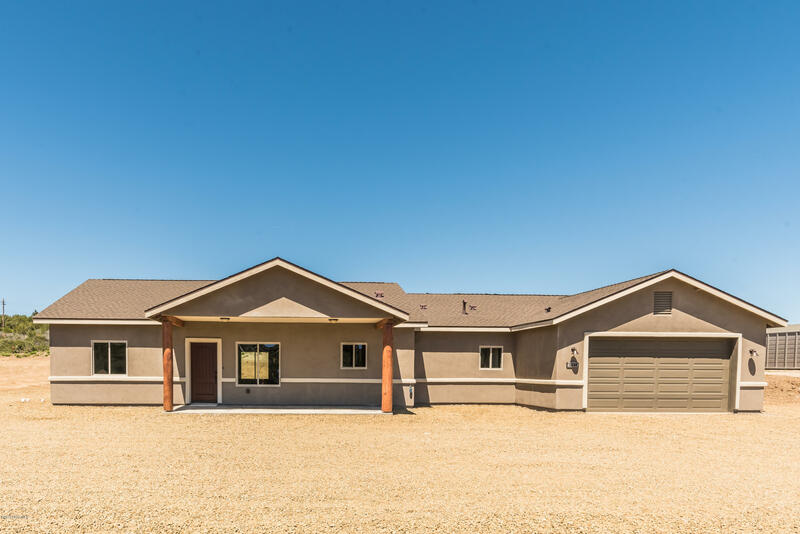 All None homes currently listed for sale in Mayer as of 04/23/2019 are shown below. You can change the search criteria at any time by pressing the 'Change Search' button below. "Talk about unique! This 2009 custom home sits above Hwy 69 on 21.33 acres with forever BLM views! The home is a comfortable north-south facing with wrap-around covered deck to enjoy those open views! Nearly 2700 sqft with 2 masters in a ''Jack and Jill' set up, office, guest room and wonderful open living room with full cook's kitchen! Granite counters & island, stainless steel LG appliances,5 burner stove, and double oven with room for the whole family to help! 18' tiles throughout, designe"
"This listing represent two contiguous parcels. See MLS #'s 1016855 VL, and 1016956 for residential. 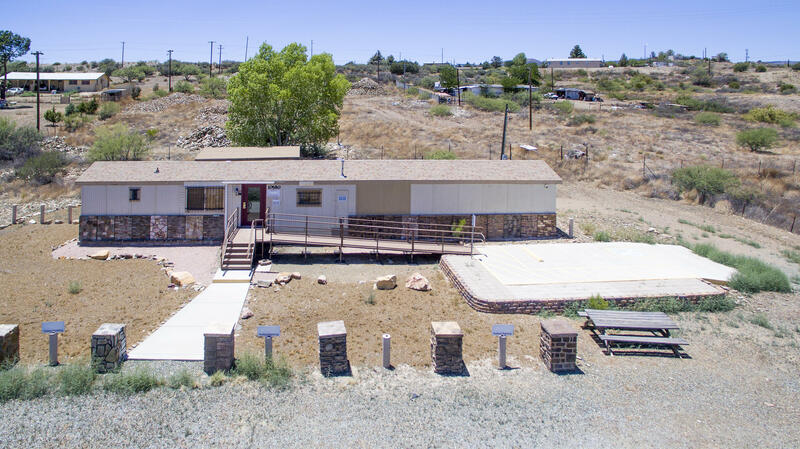 Seller would like parcels sold together.One represents house with 3/2 on 16+ ac with detached double garage that could be used as: workshop, or construction storage, rv space, tack room- historic depot building, mineral rights, mine shaft. Other represents 20+ ac. 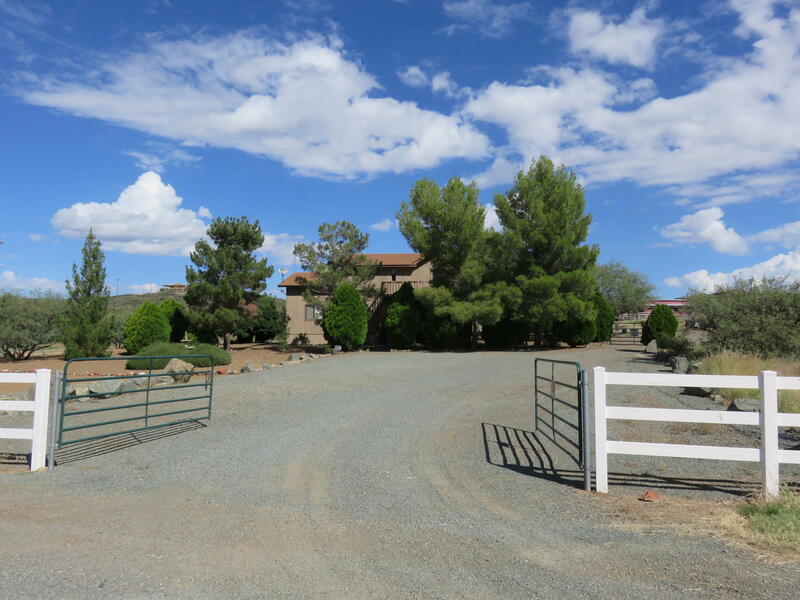 Parcels are fully fenced and zoned for horses, with trails." 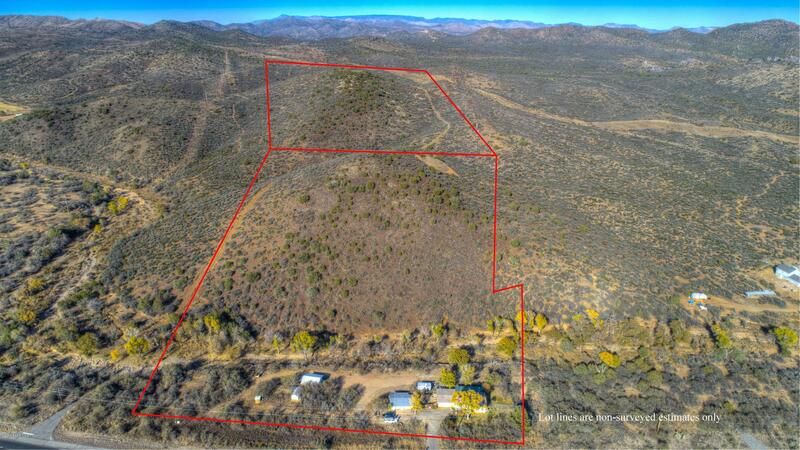 "Unique fully fenced 36+ acre ranch property on two parcels. Can be split into 5 ac parcels. Nicely maintained three bd, with huge back covered patio to enjoy the peaceful nights and wildlife. Has extra large detached 2 car garage that could be used as barn, tack room, workshop,etc. Mineral rights, mine shaft, on Big Bug Creek with seasonal waters. Has old historic railroad depot once used to sell antiques-could be zone commercial, plumbed for electric and commode. Enormous space atop hill for "
"Hidden from the highway and just 'a piece' down a country road you will find this spotless home - it just sparkles! The panoramic views will knock your socks off and the home and 40' X 30' 4 car garage/workshop and home on 2 full acres say, ''BUY ME''! The 2006 ranch-style home has a 3/2 split floor plan, upgraded ceiling fans throughout ,lovely plantation shutters, real wood floors, knotty alder cabinetry, deluxe storm doors...the list just goes on! The 40' X 30' workshop/garage is a man-c"
"This beautiful home gives you country living on 3 parcels of land to protect you and your property from being built next to. 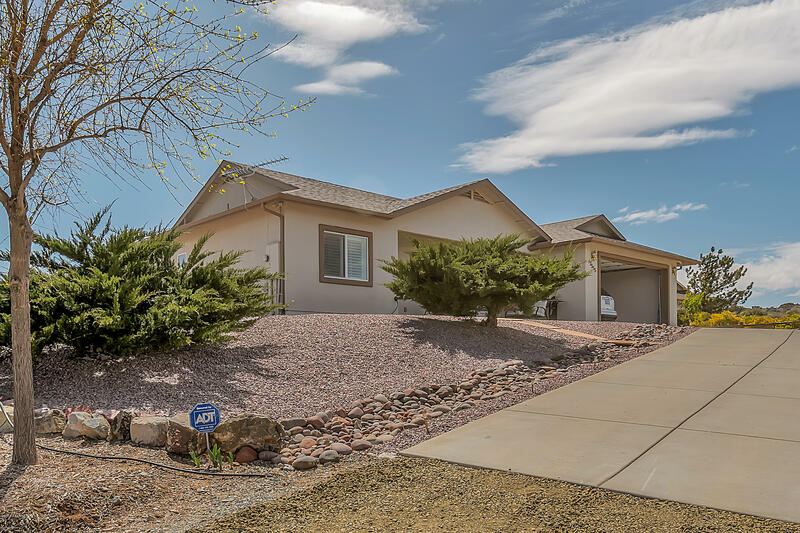 You will also enjoy the amazing panoramic views of the Eastern Arizona mountains and the Western Bradshaw mountain range. 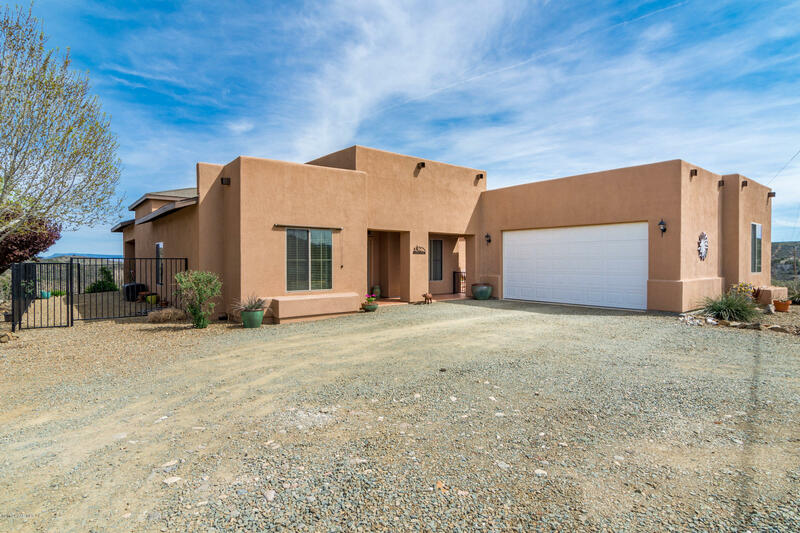 The Santa Fe style custom build offers it's own private courtyard with fireplace, along with the desert landscape will put you in your own mountain desert oasis. The home offers one of the most sought after split floor plans you will find with two spaci"
"ROOM TO ROAM!! 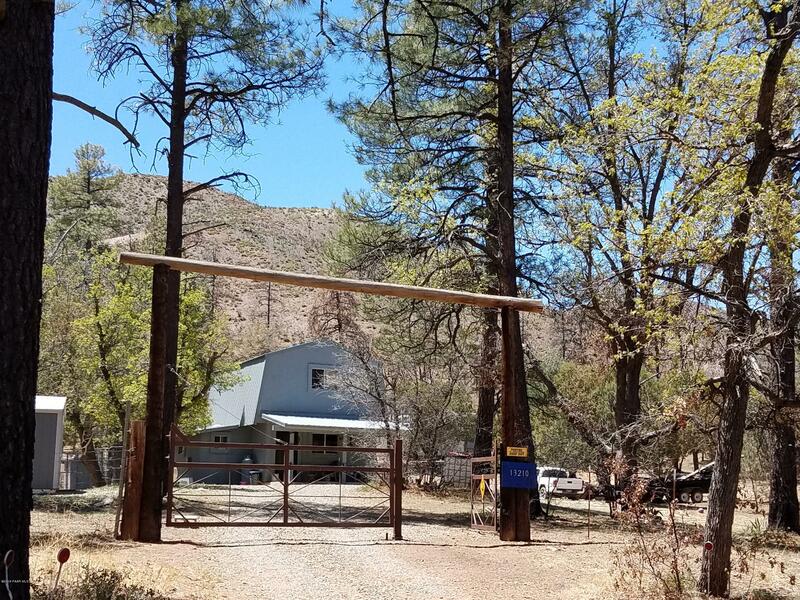 Nestled among foothills and footsteps away from the Prescott National Forest this horse property is definitely the one you have been waiting for! Perimeter fencing with two double entrance gates, large barn with workshop and tack room, turn outs, 14 covered stalls and 12.83 acres for your four legged family members to run a muck! Conveniently located off Highway 69 for super easy commutes and fabulous access. This home is two story, three bedrooms and two bathrooms with a loft. " "Off the grid home in the pines at 5800' elevation. Totally self contained with well, solar, and propane. Year round living or summer home. Ponderosa pines and oak trees cabin has living room, kitchen and bath with loft bedroom, 2 septics-1 is located at proposed new building site. 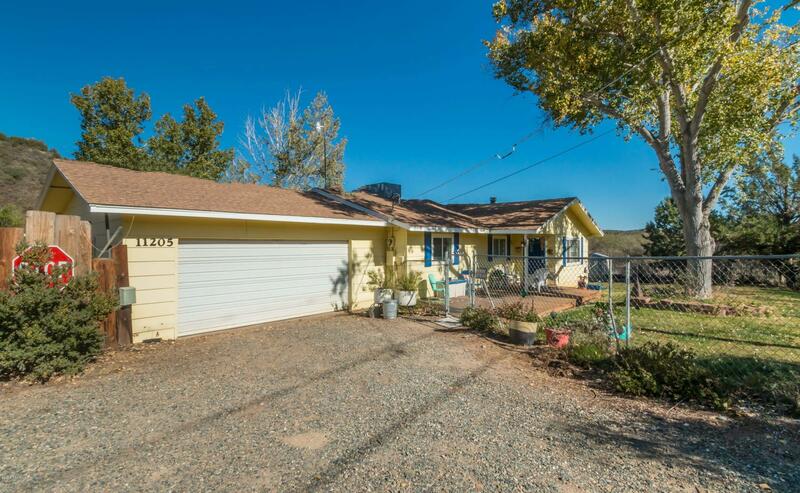 Updated solar system, fresh paint on exterior in 2018"
"Brand-new custom-built home sits on 1 acre of usable land with views, privacy, seclusion, and is not located in an HOA. Home is 1880 sqft in a popular open and spacious floor plan with 3 bedrooms, Plus office/den, 2.5 bathrooms and a 2-car garage. Kitchen has tall white shaker cabinets, SS Appliances, Island and tile floors. Nice great room has vaulted ceilings, can lighting, carpet and tile floors. Spacious master bedroom incorporates a master bathroom with dual vanity, shower, tub and His & He"
"This 1064 sq. ft. mobile home was converted to a commercial use. Previous tenant remodeled adding a lobby, new recessed lighting, ADA parking, ramp and restroom. The property is fully wired for security cameras, internet and stereo system. Numerous parking spaces available in the front. The back 1.4 acres has additional access to Main street on the southwest corner. Previously a stone veneer yard and licensed as a medical marijuana dispensary. Adjacent 1.3 acre parcel is available for sale to ma"
"Great property on 2.44 acres for your home and business, horse property or just enjoy rural living. Don't let the age of this mobile stop you from looking, it has been remodeled, walls have been textured, kitchen updated, water heater, laminate flooring throughout except game room (with pool table) is concrete. Large utility room with dryer and sink. 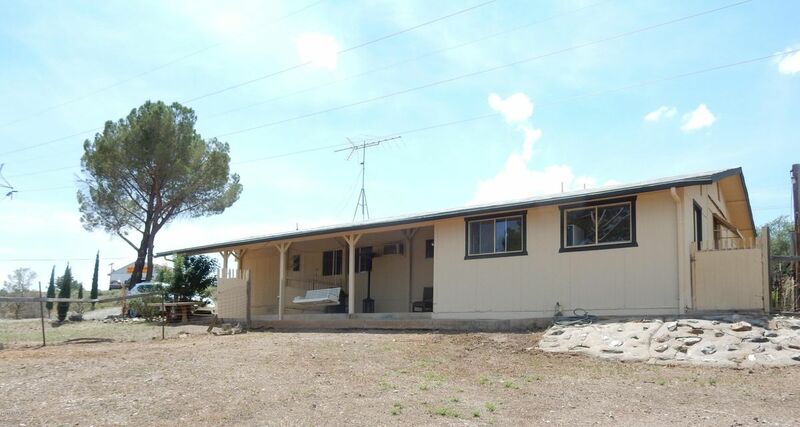 This property includes pine trees, fenced yard, chicken coop, 3 sheds or workshops, RV pad and 2 septics."